We will ease any fears or anxiety by explaining in detail each step of your treatment. Expanders are commonly used to correct crossbites caused by narrow and constricted jaw forms. By widening the jaw, this creates more room for the permanent teeth which may be crowded. Expansion is most effective before puberty when the jaws are still moldable. While there are many variations in design, expanders all serve the same purpose. Dr. Mibab uses a fixed appliance for the most effective means of expansion, and parents prefer this type because they cannot be lost by the patient. Expansion is most commonly done in the upper jaw, hence the term palatal expansion. Palatal expansion works by applying gradual outward pressure on the bone and teeth, opening the sutures of the upper jaw. A gap is temporarily created (seen as a space between your front teeth) and allows new bone to grow. Do not be alarmed when the space opens. It is a good indication the appliance is working properly, and the space will close naturally. As the upper jaw is expanded with an appliance, there is usually indirect expansion of the lower jaw caused by uprighting tipped lower teeth. As a parent, it will be your responsibility to activate or turn the appliance with a special key. Dr. Mibab recommends turning the appliance once a day for approximately 3 to 4 weeks. After the turns have been completed, the expander remains in place for six months to stabilize the new bone growth. 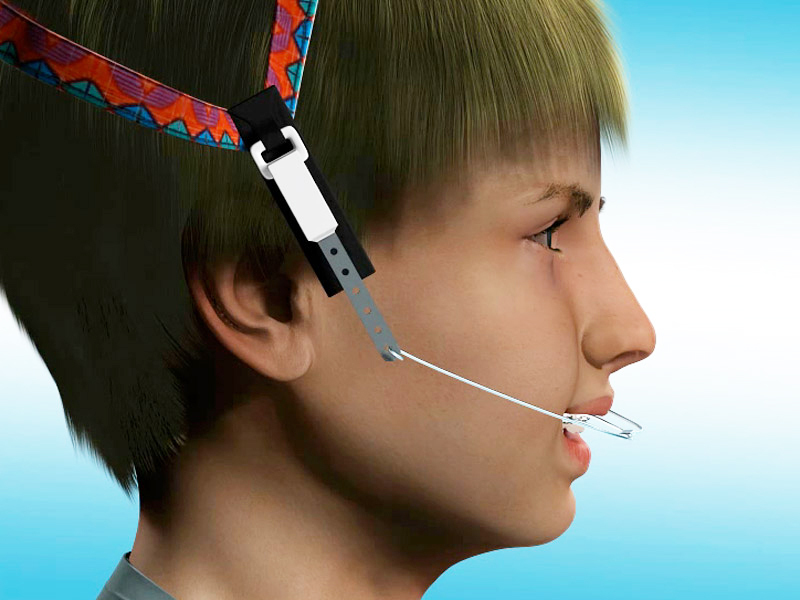 During the activation phase of the appliance, some pressure may be experienced at the bridge of the nose, around the ears, cheeks or between the teeth. Tylenol or Advil will effectively reduce any discomfort. Please be careful about what you eat. As with spacers, please avoid hard, sticky or chewy candy, especially gum. Avoid popcorn. It will be difficult to talk and swallow at first. Food will get caught around the expander, especially for the first few days. Be sure the appliance is cleaned well every time you brush. A WaterPik or similar device will help to clean the expander. Vigorous rinsing is helpful, especially with a prescription fluoride rinse such as Phos-Flur or Gel-Kam. •	Have the child lay on a bed or couch with their mouth wide open and the chin pointed upwards. •	Firmly grip the key between the index finger and thumb. •	Insert the wire key into the foremost hole of the appliance as demonstrated by our staff and the online video. •	Gently but steadily push the key from the front toward the back of your child’s mouth. Do not back up. You know you have turned it enough when you are able to see the next screw hole. •	Remove the key from the hole by sliding the key down toward the back throat area of the mouth. •	If something does not function well, or your child has persistent pain, stop the activation. Do not continue to expand the appliance. Please contact our office as soon as possible. •	The most common problem occurs if you accidentally undo or reverse the turn as you go to remove the key. When this happens, you will not be able to get the key into the next hole for the future turn. You must reinsert the key in the last hole and redo the turn. The Herbst appliance is commonly used to correct an excessive overbite due to an underdeveloped or receded lower. A Herbst appliance encourages the lower jaw to grow more than it would otherwise, "catching up" with the upper jaw. 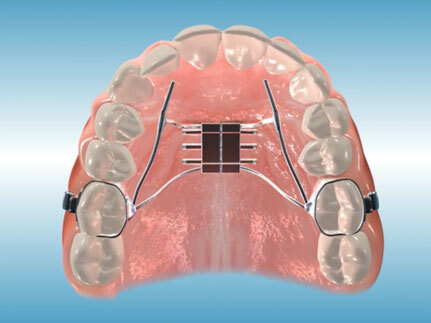 One major advantage of the Herbst appliance is that it can be fixed to the teeth and braces, minimizing a patient’s responsibility in remembering to wear it. It works 24 hours a day and stays in place for one year. A Herbst appliance can help avoid jaw surgery in a young patient who is still growing. At first, your mouth will feel unusually full, and talking and eating will be awkward. We suggest practicing reading aloud and eating softer foods for a few days. Your back teeth will not contact for several days. If the Herbst appliance irritates your cheeks, place some wax on the screws near your bottom lip. Even though the Herbst appliance prevents the lower jaw from moving backward, opening and closing movements will become easier after a few days, and you should not have any problems learning to chew food with your lower jaw in this new position. You will need to be careful about what you eat. Avoid hard foods, gum, and chewy candy. In some cases where an underbite is present, we may recommend using a protraction facemask or reverse headgear as part of the treatment plan. 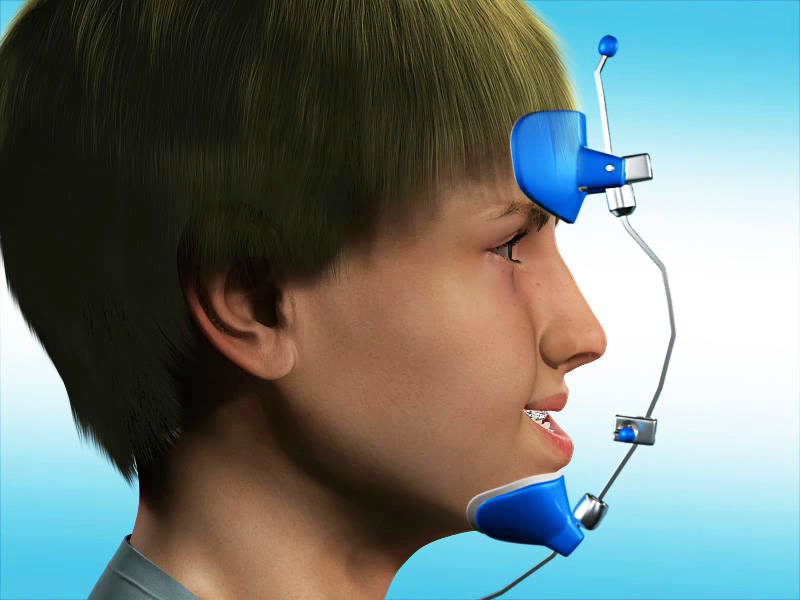 This appliance is designed to improve the discrepancy between your upper and lower jaws by moving the upper jaw forward and restricting the forward growth of the lower jaw. A reverse headgear consists of a chin cup and forehead rest connected by a wire framework. 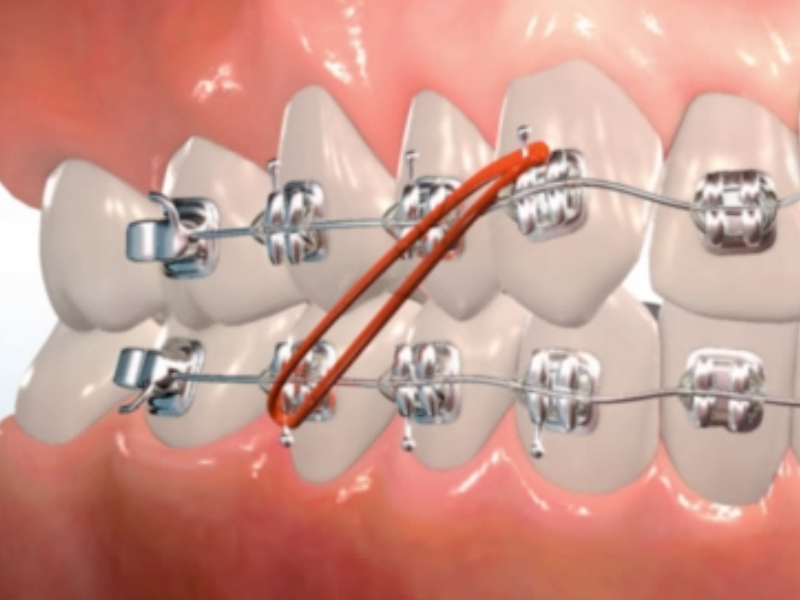 Elastics or rubberbands are hooked from the framework to either an expander or the upper back braces. For the results to be successful, patient compliance is of the utmost importance. It may take several days to become accustomed to the appliance. With practice, it will become easier to place and remove the reverse headgear. We will determine the length of time you should wear your headgear, but it is generally 10 to 12 hours per day, which includes wearing it while you sleep. Sometimes your chin may get irritated from the headgear. If this happens, you should always keep the area clean and change the insert in the chin cup often. If the skin becomes very dry, the use of moisturizing cream twice a day can be helpful. 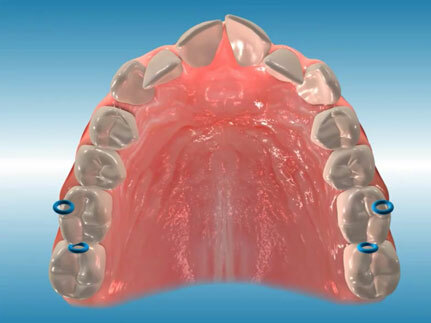 Spacers (sometimes called separators) are either round, elastic-like modules or spring-like wires that are placed between the back teeth in order to create space. This space will make it possible to fit the bands (metal tooth rings) on your back teeth at the next appointment. You may feel them when you bite. Spacers feel like you have a piece of food caught in between your teeth. The number of spacers that you get will depend on the spacing of your teeth and the number of bands needed for your braces or appliances. When the spacers are being placed, you might feel some pressure in between your teeth. Spacers will probably make the teeth somewhat tender for a couple of days. This is normal and should be only temporary and slightly uncomfortable. Dr. Mibab recommends Tylenol or Advil for any discomfort you may experience. Separators can be dislodged with hard or sticky foods such as chewing gum, taffy, caramels, etc. Your diet should be restricted somewhat to avoid problems. If any of the spacers come out on their own, we usually do NOT need to reinsert them. Chances are they have created the space that was needed. You may brush your teeth as usual with spacers, but dental flossing will dislodge the spacers. Expanders are commonly used to correct crossbites caused by narrow and constricted jaw forms. By widening the jaw, this creates more room for the permanent teeth which may be crowded. Expansion is most effective before puberty when the jaws are still moldable. While there are many variations in design, expanders all serve the same purpose. Dr. Mibab uses a fixed appliance for the most effective means of expansion, and parents prefer this type because they cannot be lost by the patient. Expansion is most commonly done in the upper jaw, hence the term palatal expansion. Palatal expansion works by applying gradual outward pressure on the bone and teeth, opening the sutures of the upper jaw. A gap is temporarily created (seen as a space between your front teeth) and allows new bone to grow. Do not be alarmed when the space opens. It is a good indication the appliance is working properly, and the space will close naturally. As the upper jaw is expanded with an appliance, there is usually indirect expansion of the lower jaw caused by uprighting tipped lower teeth. As a parent, it will be your responsibility to activate or turn the appliance with a special key. Dr. Mibab recommends turning the appliance once a day for approximately 3 to 4 weeks. After the turns have been completed, the expander remains in place for six months to stabilize the new bone growth. During the activation phase of the appliance, some pressure may be experienced at the bridge of the nose, around the ears, cheeks or between the teeth. Tylenol or Advil will effectively reduce any discomfort. Please be careful about what you eat. As with spacers, please avoid hard, sticky or chewy candy, especially gum. Avoid popcorn. It will be difficult to talk and swallow at first. Food will get caught around the expander, especially for the first few days. Be sure the appliance is cleaned well every time you brush. A WaterPik or similar device will help to clean the expander. Vigorous rinsing is helpful, especially with a prescription fluoride rinse such as Phos-Flur or Gel-Kam. To activate or turn the appliance: •	Have the child lay on a bed or couch with their mouth wide open and the chin pointed upwards. •	Firmly grip the key between the index finger and thumb. •	Insert the wire key into the foremost hole of the appliance as demonstrated by our staff and the online video. •	Gently but steadily push the key from the front toward the back of your child’s mouth. Do not back up. You know you have turned it enough when you are able to see the next screw hole. •	Remove the key from the hole by sliding the key down toward the back throat area of the mouth. •	If something does not function well, or your child has persistent pain, stop the activation. Do not continue to expand the appliance. Please contact our office as soon as possible. •	The most common problem occurs if you accidentally undo or reverse the turn as you go to remove the key. When this happens, you will not be able to get the key into the next hole for the future turn. You must reinsert the key in the last hole and redo the turn. The Herbst appliance is commonly used to correct an excessive overbite due to an underdeveloped or receded lower. A Herbst appliance encourages the lower jaw to grow more than it would otherwise, "catching up" with the upper jaw. One major advantage of the Herbst appliance is that it can be fixed to the teeth and braces, minimizing a patient’s responsibility in remembering to wear it. It works 24 hours a day and stays in place for one year. A Herbst appliance can help avoid jaw surgery in a young patient who is still growing. At first, your mouth will feel unusually full, and talking and eating will be awkward. We suggest practicing reading aloud and eating softer foods for a few days. Your back teeth will not contact for several days. If the Herbst appliance irritates your cheeks, place some wax on the screws near your bottom lip. Even though the Herbst appliance prevents the lower jaw from moving backward, opening and closing movements will become easier after a few days, and you should not have any problems learning to chew food with your lower jaw in this new position. You will need to be careful about what you eat. Avoid hard foods, gum, and chewy candy. In some cases where an underbite is present, we may recommend using a protraction facemask or reverse headgear as part of the treatment plan. 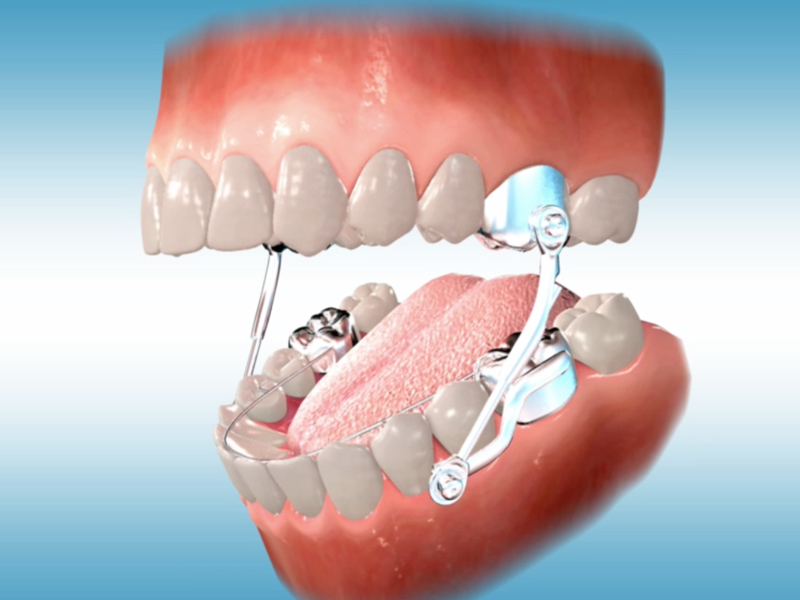 This appliance is designed to improve the discrepancy between your upper and lower jaws by moving the upper jaw forward and restricting the forward growth of the lower jaw. A reverse headgear consists of a chin cup and forehead rest connected by a wire framework. 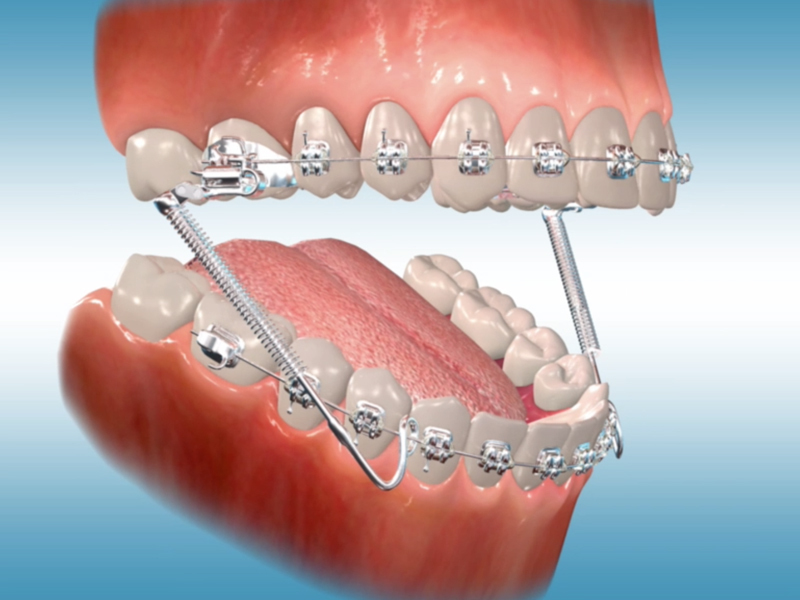 Elastics or rubberbands are hooked from the framework to either an expander or the upper back braces. For the results to be successful, patient compliance is of the utmost importance. It may take several days to become accustomed to the appliance. With practice, it will become easier to place and remove the reverse headgear. We will determine the length of time you should wear your headgear, but it is generally 10 to 12 hours per day, which includes wearing it while you sleep. Sometimes your chin may get irritated from the headgear. If this happens, you should always keep the area clean and change the insert in the chin cup often. If the skin becomes very dry, the use of moisturizing cream twice a day can be helpful. Spacers (sometimes called separators) are either round, elastic-like modules or spring-like wires that are placed between the back teeth in order to create space. This space will make it possible to fit the bands (metal tooth rings) on your back teeth at the next appointment. You may feel them when you bite. Spacers feel like you have a piece of food caught in between your teeth. The number of spacers that you get will depend on the spacing of your teeth and the number of bands needed for your braces or appliances. When the spacers are being placed, you might feel some pressure in between your teeth. Spacers will probably make the teeth somewhat tender for a couple of days. This is normal and should be only temporary and slightly uncomfortable. Dr. Mibab recommends Tylenol or Advil for any discomfort you may experience. Separators can be dislodged with hard or sticky foods such as chewing gum, taffy, caramels, etc. Your diet should be restricted somewhat to avoid problems. If any of the spacers come out on their own, we usually do NOT need to reinsert them. Chances are they have created the space that was needed. You may brush your teeth as usual with spacers, but dental flossing will dislodge the spacers.